Having a well-manicured backyard can transform your home entirely. A perfect backyard should reflect your personality and provide your family with a wonderful outdoor area they can go to unwind and indulge in their favorite outdoor activities. You can always rely on the finest experts for landscape design in San Diego to give you the retreat you’ve always dreamed of, but if you want to know how to design your backyard yourself, keep reading to find out all the DIY tips and tricks of backyard landscape design. How to design backyard landscaping? 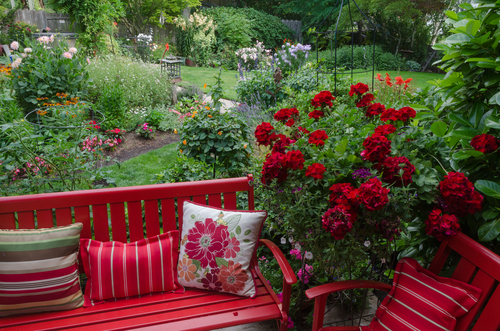 It’s easy to get overwhelmed with all the possible choices when designing your own backyard. Here are some factors to take into consideration if you want to avoid issues later in the process. Start by considering the space you have to work with. Is your backyard small or large? For example, designing a long and narrow backyard entails specific considerations which would influence your final design. If you have a large backyard area, you could divide it into several areas for different purposes. A large outdoor space can accommodate a cozy patio area with a grilling station, waterfalls or water fountains, a garden with flower beds and even a pond or a hot tub. The possibilities are endless if you have the space. If, on the other hand, your outdoor space is small, your options are slightly limited. Many people with small backyards decide to stick with one theme when designing their outdoor space. For instance, the most common choice is a patio or deck area where your family can relax, barbecue and dine together. What you’ll place in your backyard area will depend on what you enjoy doing the most. Think about the outdoor activities you and your family would like to do in the backyard to determine what to include in your landscape plan. For example, if your family is active you should consider including a larger exercise area, let’s say a basketball court. Installing a pool in your backyard is another popular option for hot climates. On the other hand, some people would much rather build a backyard garden or a small pond to feel closer to nature in their perfect retreat. Some other options include grilling stations, outdoor kitchens and fire pits for a perfect outdoors dining experience. Deciding on the materials and plants first will make it easier to fit all your design choices into a single theme, as well as give you an idea of how much your backyard design will cost. Deciding on the solid structures and surfaces, i.e. hardscapes, you want to include in your backyard is the first step you should take in your landscaping project. This refers to your fences, walls and paving which you should choose depending on your needs and maintenance expectations. Similarly, before you shop for plants, think about the overall appearance, texture and maintenance level you desire. If you want an option that is eco-friendly and low-maintenance, the American Association of Landscape Architects suggests using native plants to save money and the planet. How to start landscaping your yard? Get the right equipment: make sure you have all the necessary tools and equipment to start landscaping, such as weed eaters, lawn mowers, rakes and garden hoses. First hardscape, then plant: before you plant your foliage, finish all hardscaping projects such as decking, paving and fencing in order not to damage your soil or plantings. 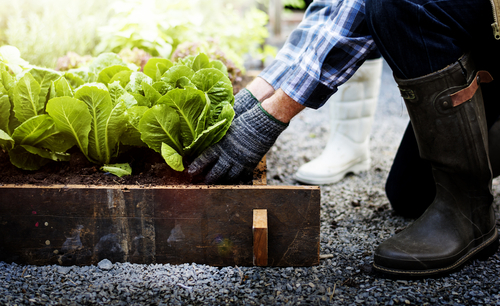 Prepare your soil: before you plant, you should amend your soil with organic matter, such as compost or manure, to help the growth of your new plants. Common soil amendments include peat moss, mushroom compost and shredded pine bark. Remove junk: free your backyard from any debris, trash or other things laying about. Think about your grass: start by mowing and collecting grass clippings and finish by watering your grass with a garden hose or sprinkler. Add finishing touches: after you’re done with all the hard work, mix it up by adding differently colored containers, planters and hanging baskets and other accessories which fit your landscaping theme. We know there’s a special joy in designing your backyard yourself, but why spend time laboring when you could go swimming on Mission Beach? Relax and rely on our seasoned landscape design experts to help you get the private oasis of your dreams right in your backyard! San Diego customers love Pacific Dreamscapes because of the comprehensive landscaping services we offer, as well as the extensive expertise of our builders. Whether you want to bring your backyard to life by adding a nice waterfall, fire pit or an outdoor kitchen, our landscape specialists can do it all. Reach out to us today!